They stole her food, her freedom and her children. Is there peace for Rebecca? For Rebecca, life in drought stricken Shulon becomes more complicated when ancient feuds explode. 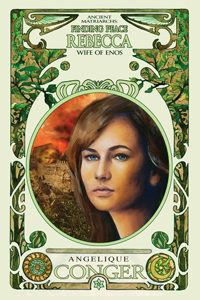 Struggling to survive, she is further stricken when raiders take her brother’s life and steal her two young children. Confronting continued brutality and loss, can she overcome hatred and discover the strength to endure continued confrontation and loss? Ancient Matriarchs Book Three: Finding Peace, Rebecca Wife of Enoch is a fascinating historical fiction with a compelling feminine perspective and an engaging story of a determined woman encountering overwhelming loss. Buy Finding Peace today to experience this engaging story of a mother facing crushing personal trials. Available Today in Paperback or Kindle.